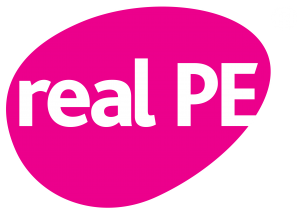 real PE is a unique, child-centred approach that transforms how we teach PE to engage and challenge EVERY child. It has been developed to inspire teachers to enjoy teaching PE and transforms their confidence to deliver outstanding lessons. It is fully aligned to the National Curriculum and Ofsted requirements and focuses on the development of agility, balance, coordination, healthy competition and cooperative learning. Please use this link for more information.